Women’s Health Initiatives Foundation is on a mission to empower and guide women to the truth about natural options which prevent, treat and defeat cancer and other diseases. We provide financial support and access to the New Hope for Cancer program where cancer patients receive life-saving treatment which is often not covered by insurance. We educate women about complementary and alternative cancer prevention methods and treatment options. We provide financial assistance for non-invasive, diagnostic thermography screenings. 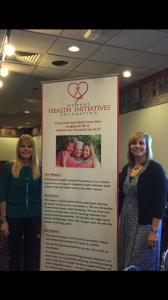 We offer holistic cancer coaching to prevent, heal, and recover from disease. We imagine a world where women understand cancer and work to prevent it and heal it. We picture the number of new cancer cases decreasing. We see cancer patients receiving treatment that incorporates all possibilities. We visualize late stage cancer patients finding hope where they thought none was left. We envision lives being saved. We believe women’s cancers can be prevented, treated, or cured by looking at the body as a whole. We believe pharmaceuticals, radiation and surgery are not the only answers to this disease. We are daring greatly to put prevention ahead of detection and looking beyond the status quo as the only avenue for the treatment of cancer. WHIF’s current initiative is to support New Hope for Cancer at the Rosenberg Integrative Cancer and Treatment Institute where cancer patients are being saved every day. 100% of any donation and 100% of all event proceeds go to this endeavor. We do not take any money for administrative costs as all of our overhead expenses are generously donated. If you shop with Amazon, you can donate to our foundation at no additional cost. 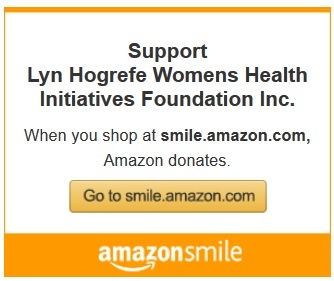 All you have to do is visit www.smile.amazon.com and search for Lyn Hogrefe Women’s Health Initiatives Foundation. Once you select our foundation, everytime you purchase using the smile.amazon.com address, Amazon donates .05% of your purchase price to us! Remember, you have to use the smile.amazon.com address each time you purchase, or we don’t get the donation. At Women’s Health Initiatives Foundation, we focus on initiatives that prevent, treat and defeat cancers that affect women. Why does cancer still exist despite the billions of dollars raised by numerous charities to defeat it? Why is it that we dedicate the entire month of October to Breast Cancer yet the number of new breast cancer cases has remained steady for over 40 years? We wonder how the money raised by millions of Americans who are passionate about defeating cancer is spent. How much of it is actually going toward this mission? We question why survivorship of late stage lung cancer, breast cancer and colorectal cancer has only been extended by two months through standard of care chemotherapy over the past 20 years. In our search for answers, we have found pioneering scientists, researchers and physicians who are not just thinking outside the box, they’ve thrown away the box. We are committed to their research and treatments. 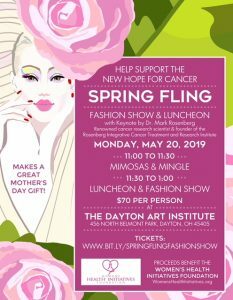 Our current initiative supports the Rosenberg Integrative Cancer Treatment and Research Institute where Dr. Mark Rosenberg and his team are treating and defeating cancer. Dr. Rosenberg looks at each cancer case individually and creates a protocol which may incorporate chemotherapy, nutrition, supplementation, lifestyle and off-label pharmaceuticals. As he puts it, “I’ll even throw in the kitchen sink if I need to”. His research is showing great promise in clinical trials but funding is critical to keep these trials on track. Therefore, WHIF is committed to raising money on behalf of his organization. WHIF donors can also be assured that 100% of its donations and proceeds go to its mission and initiatives. 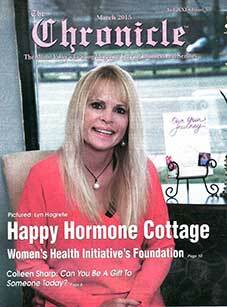 All of our overhead expenses, including salaries, are generously sponsored by JAH Pharmacies, WHIF founder Lyn Hogrefe, and her Happy Hormone Cottages. 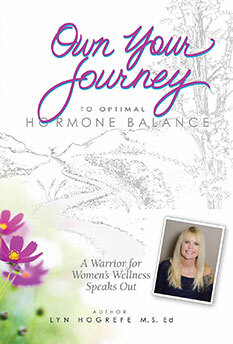 Lyn Hogrefe also donates 100% of the proceeds from the sale of her book, Own Your Journey, to the WHIF mission.